The European solar thermal market is still losing pace. 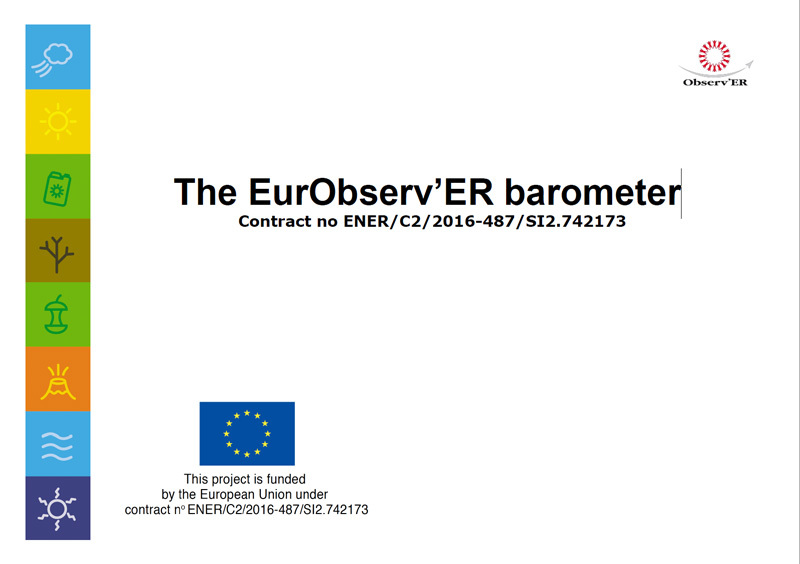 According to the preliminary estimates from EurObserv’ER, the solar thermal segment dedicated to heat production (domestic hot water, heating and heating networks) contracted by a further 4.6% in 2016 down to 2.6 million m2. The sector is pinning its hopes on the development of the collective solar segment that includes industrial solar heat and solar district heating to offset the under-performing individual home segment. Der europäische Solarthermiemarkt ist weiter auf dem Rückgang. 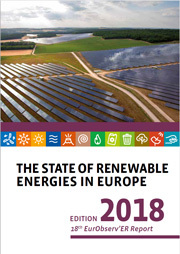 Nach vorläufigen Schätzungen des EurObserv’ER hat sich das Solarthermie- Segment zur Wärmeproduktion (Warmwasser, Heizung und Wärmenetze) 2016 um weitere 4,6 % verringert und steht nun bei 2,6 Millionen m2. Die Branche hofft daher, dass es über die Entwicklung des Solarmarktes im Bereich der Kollektivanlagen, der solaren Industriewärme und der solaren Fernwärme gelingt, das schwache Einfamilienhaussegment auszugleichen. Der Biokraftstoffverbrauch im Verkehrssektor hat 2016 leicht zugenommen. Vorläufigen Schätzungen des EurObserv’ER zufolge lag er bei 14,4 Mio. Tonnen Öläquivalent, was einem Anstieg von 1,3 % im Jahresvergleich entspricht. Dieser Anstieg lässt sich sämtlich auf den Biodieselverbrauch zurückführen, der um 2,4 % auf 11,6 Mio. Tonnen Öläquivalent gestiegen ist, während der Bioethanol-Verbrauch um 3,1 % auf 2,6 Mio. Tonnen Öläquivalent gefallen ist. Biofuel consumption for transport increased slightly in 2016. 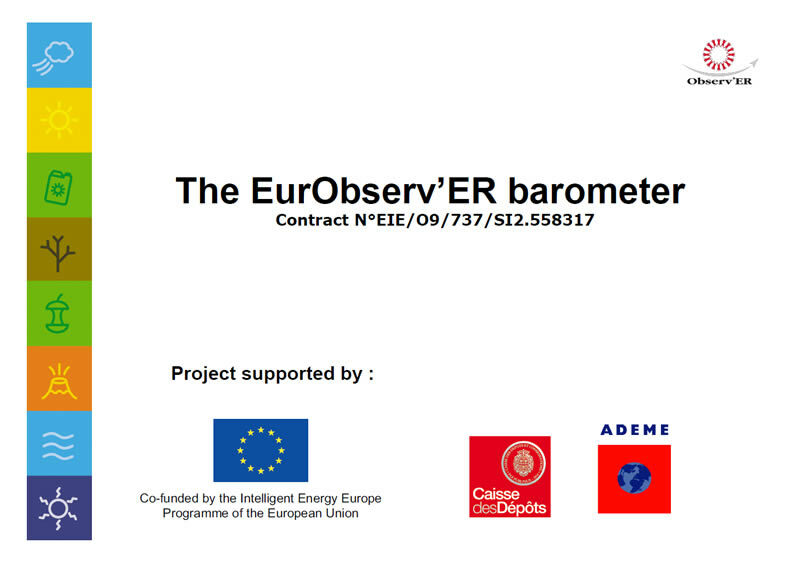 EurObserv’ER’s preliminary estimates suggest the figure of 14.4 million toe, which equates to 1.3% year-on-year growth. This increase was entirely driven by biodiesel consumption (which rose 2.4% to 11.6 Mtoe), as bioethanol consumption slipped (by 3.1% to 2.6 Mtoe). La consommation de biocarburants à destination des transports a légèrement augmenté en 2016. Selon les premières estimations d’EurObserv’ER, elle devrait atteindre 14,4 millions de tep, soit une croissance de 1,3 % par rapport à 2015. Cette croissance s’explique uniquement par une augmentation de la consommation de biodiesel (+2,4 % à 11,6 Mtep), la consommation de bioéthanol ayant légèrement diminué (-3,1 % à 2,6 Mtep). Der globale Solarenergiemarkt entwickelt sich rasant – angetrieben von der enormen Nachfrage auf den asiatischen und amerikanischen Märkten. 2016 knackte der globale Photovoltaik-Markt die 76-GW-Marke und erreichte einen maximalen Zuwachs von 50 %. Der europäische Markt hingegen scheint sich festgefahren zu haben. Die dort zugebaute Leistung betrug 2016 lediglich 6,1 GW und lag damit unter den 7,9 GW des Vorjahres. Um den Marktanteil von Strom aus erneuerbaren Quellen in Zukunft zu vergrößern, werden die gesetzlichen Rahmenbedingungen des Sektors derzeit überarbeitet. The global wind energy market appears to have encountered its initial limits. 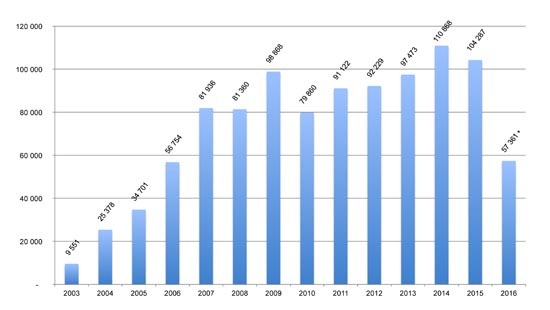 Since the beginning of the millennium it has expanded almost continuously to achieve 64.4 GW in 2015. Preliminary estimates for 2016 point to sales of 54.2 GW, which is down on the previous year’s performance. Nonetheless, the results were good enough to give double digit growth of 12.4%, which took the global installed base up to 486.7 GW. Not just a wave, it’s a breaker that has made landfall on the global solar power market, driven by strong Asian and American demand. The global solar photovoltaic market surged past the 76 GW mark in 2016, with peak growth at 50%. The European market seems to have drifted into slack water. It connected only 6.1 GW of additional capacity in 2016 and in doing so slipped below the previous year’s figure of 7.9 GW. The sector’s regulatory framework is being overhauled with a view to integrating more renewably-sourced electricity into the market.